You don’t have to be like one of our feathered friends to consider flying south for the winter. Mesa Arizona is getting an influx of snowbirds this time of year. Typically, many snowbirds had out right before the Halloween season or around mid-October before snow sets in in many places across the country. 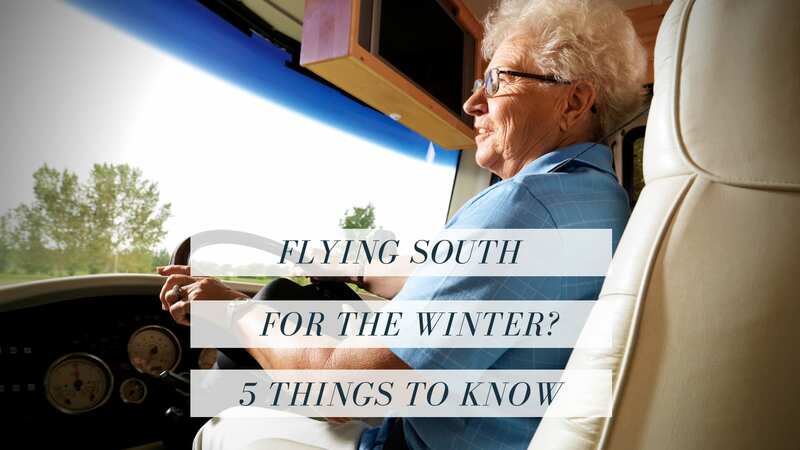 If you’ve been considering “snowbird status” here are a few things to think about. I know, nobody likes to think about taxes, but income tax, Social Security tax, and property tax can be a complicated thing, especially for snowbirds who plan to utilize their vacation home as a permanent residency. Before your taxes are due it’s important to talk with a tax professional about new residency, old residences, and how your taxes play into that. You don’t want to waste any money and you certainly don’t want to pay any more taxes than you have to. Some states will look at the number of days you spent in each state to consider what type of tax you pay. #2. What will you do with your existing home? Are you planning on renting out your home in the northern states or leaving the home vacant? These are two things to consider and part of the decision-making process. If you plan to rent out your home, you will probably need a property manager since you won’t be in the state in which the property is located. If you plan on leaving it vacant, you want to do a few things to winterize the home so that when you come back in the spring, the house can be turned on and ready to go without any damage or risk of failure over the winter. #3. Consider the cost of living. You’ll want to explore the cost of living in the area in which your head it. If you are heading down to the Mesa Arizona area, you want to check the cost of living, especially if this is the first time you’re visiting. Do you want to live in a 55+ community? How about an active adult community? Mobilehome community? Perhaps a condominium with very little maintenance? All of these living environments may require additional homeowner or association fees so these are costs to consider as well, not just the initial purchase or rental of the property. Come up with a budget and balance the cost of living in your home state with the cost of living in your snowbird residents. Keep in mind any extra expenses such as increased insurance costs, gas, HOA fees, and any other costs of living. Most people that enjoy the snowbird lifestyle are over 50 years of age, so medical care might be of more concern than someone in their 20s. If you are over 65 and on Medicare, you should be able to obtain medical care wherever you go in the US. Private health insurance may need a little bit more research to find doctors and hospitals that your new destination covered by your healthcare network. Make sure you take full medical records including any prescriptions with you and check with your primary physician if they have some references or suggestions on medical clinics, hospitals, and doctors at your new destination. More than simply verifying your pet can come along with you, verify that they will be comfortable in the new environment. If you’re going from a 40° weather to 100° weather, a large, furry husky might not get along so well. Make sure your four-legged friend is well taken care of during the traveling and once you get to your snowbird destination. If you’d like to look around the Mesa Arizona area for 55+ communities or perfect snowbird residences, give me a call or check out some of the more popular communities in our area. Have a question, feel free to ask at any time.